With summer coming soon, I'm starting to think about cleaning off the patio so I can start the yearly barbecues with friends and family. 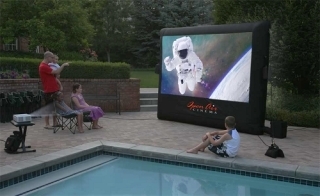 It's so much easier to entertain outdoors. 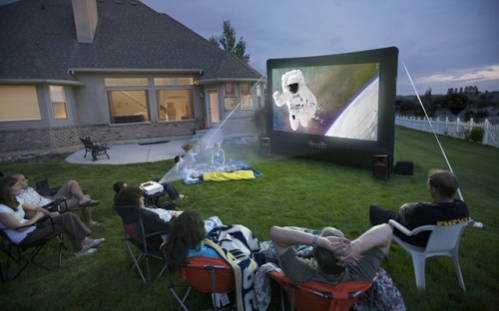 Now, Open Air Cinema adds another dimension to the outdoor barbecue: outdoor movies. 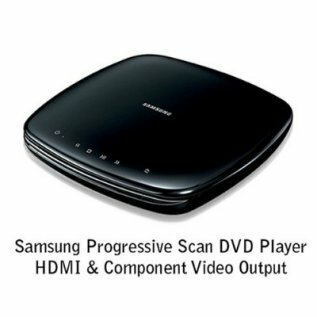 Think about live concerts on video, outdoors, in the moonlight in your own backyard... Will that get you kicked out of the neighborhood?! 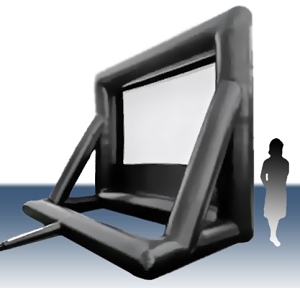 Open Air Cinema has umpteen sizes of inflatable movie screens that you can use at home or in parks for events, depending on the size of your audience. 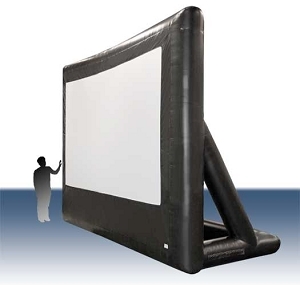 They blow-up screens start at 9 feet and go up to 40 feet wide. No, I don't have a pool, but it would be cool. The home version seen above -- the 9', 12' and 16' screens -- is also available in "pro" design, which has a larger frame and integrated stability, able to withstand 30 mph winds. Ever see Blown Away? 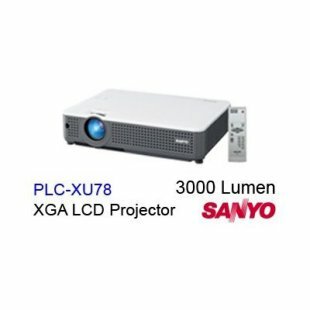 Open Air Cinema gives you plenty of excuses to have a party and there are so many possible themes; you're just limited by the number of DVDs in the world.